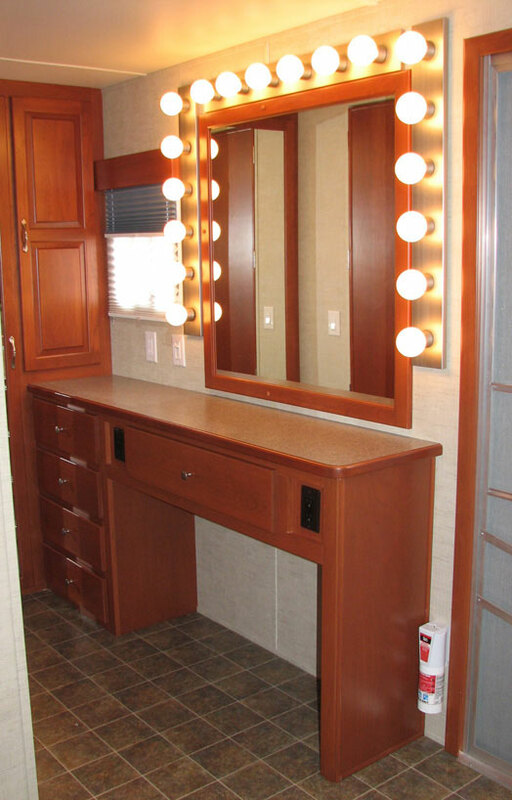 Our talent trailers are two room, dressing room travel trailer exquisitely designed for your celebrity/talent, with the rich traditions of New England in mind. 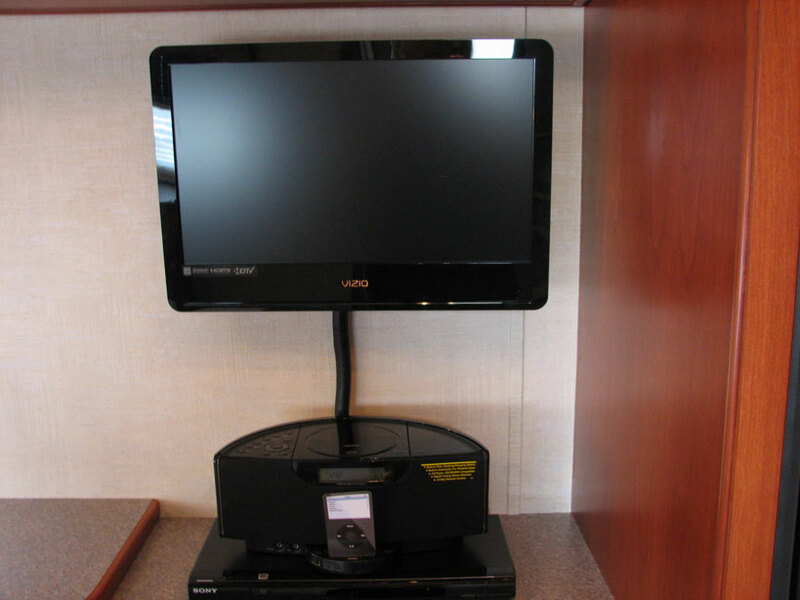 Each is fully equipped with all the amenities that will make this trailer feel like your home away from home. In each identical room one will find; a most comfortable couch with built in foot rest and lovely pillows, a fold down table, an HDTV LCD 1080p flat screen TV, DVD player, Ipod and CD stereo system, microwave, refrigerator, a full bathroom with shower, full vanity mirror area for makeup and hair, and a floor to ceiling wardrobe closet with full length mirror. The cabinets are handcrafted by Indiana Amish in beautiful cherry wood. 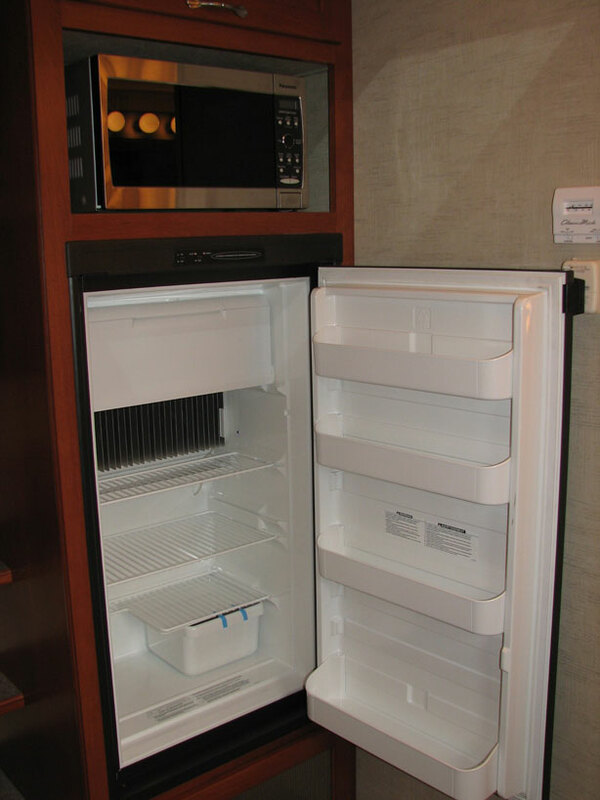 There are cabinets galore, making storage of all your items quite easy. 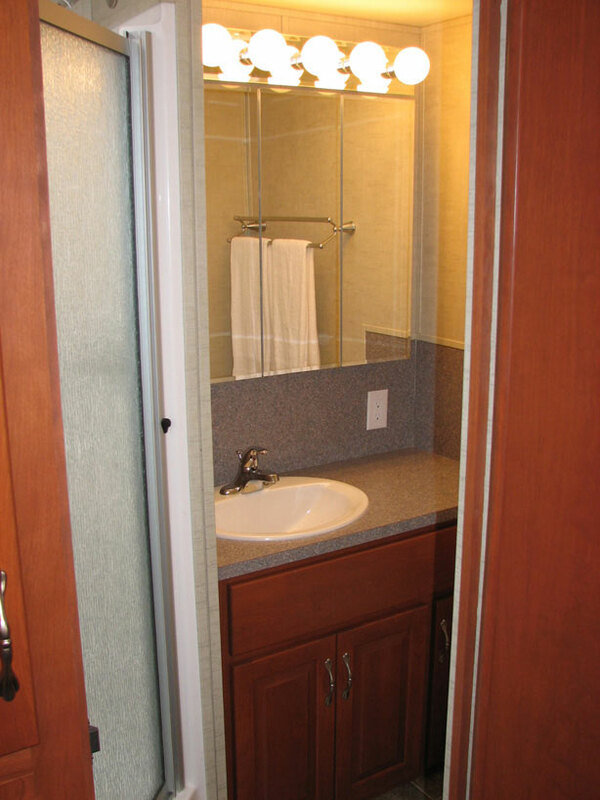 The lighting is complementary and custom built. 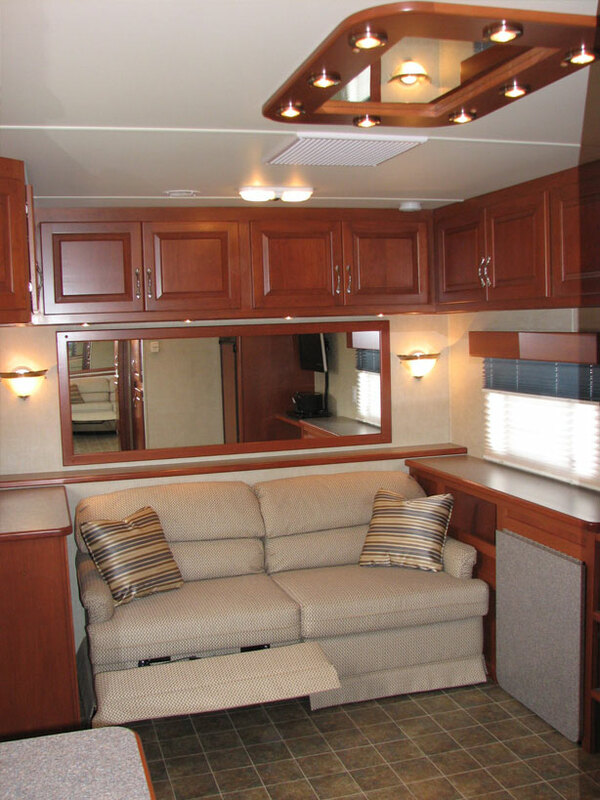 The upholstery is designed for comfort and durability in rich fabrics of classic design.